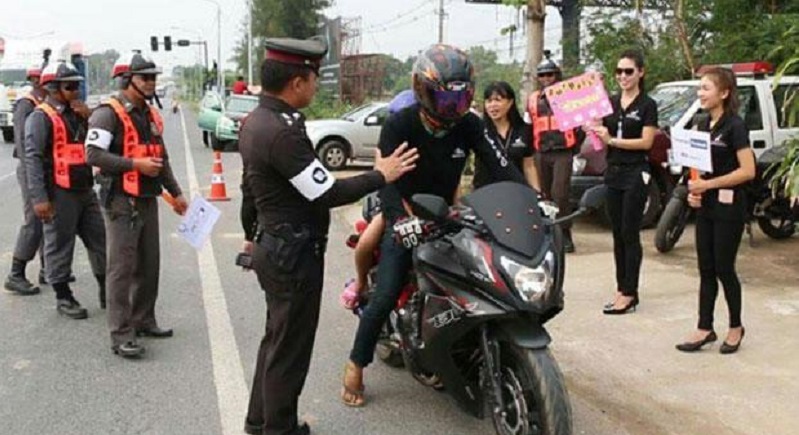 NATIONWIDE: Fifty-seven people were killed and 626 injured in 603 road accidents yesterday (Apr 14), the fourth of the 'seven dangerous days' during this year's Songkran Festival, raising the road toll between April 11-14 to 248 deaths and 2,557 injuries. The figures were revealed today (Apr 15) by Public Health Ministry’s deputy permanent secretary Opas Karnkawinpong, chair of a committee for public relations on the prevention and reduction of road accidents during April 11-17. Dr Opas said there were 603 road accidents throughout the country on April 14, killing 57 people and injuring another 626. The biggest cause of the accidents – 43.62% – was drunk-driving, while another 25.70% were attributed to speeding. As usual, the majority of the accidents – 79.58% – involved motorcycles. The highest number of accidents yesterday – 34 – was recorded in Chiang Mai, which also reported the highest number of injured at 39. The highest number of deaths was nine in Nakhon Ratchasima. The accumulated number of accidents during April 11-14 was 2,449, causing 248 deaths and 2,557 injured. Eight provinces recorded no deaths: Yala, Ranong, Lop Buri, Satun, Samut Songkhram, Nong Khai, Nong Bua Lamphu and Ang Thong. The highest number of accumulated accidents – 99 – was recorded in Chiang Mai, which also reported the highest number of accumulated injured – 109. Nakhon Ratchasima had the highest number of accumulated deaths – 17. Dr Opas said that on Friday and yesterday most of the accidents occurred on secondary roads linking districts.